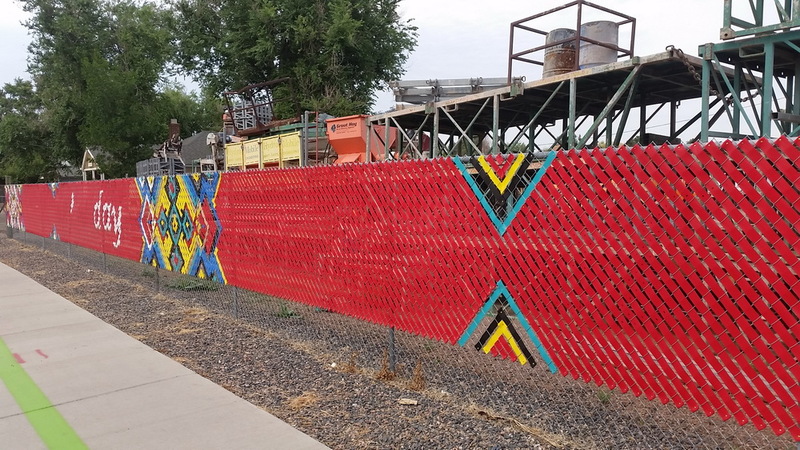 Fence design for the chain link fence was created in July 2018. 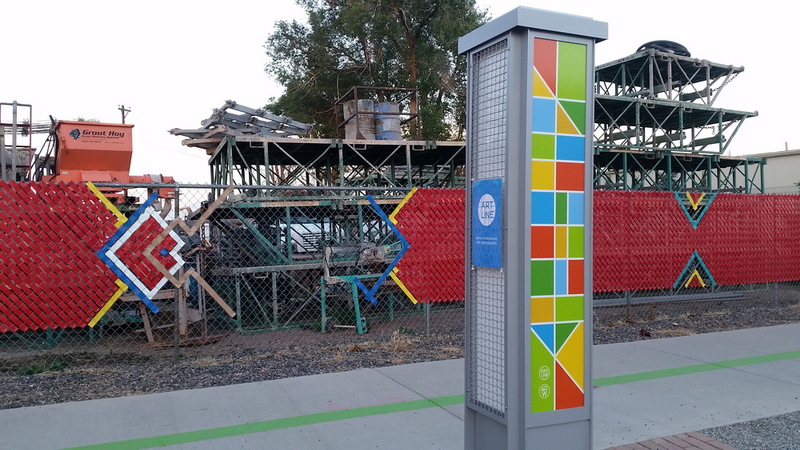 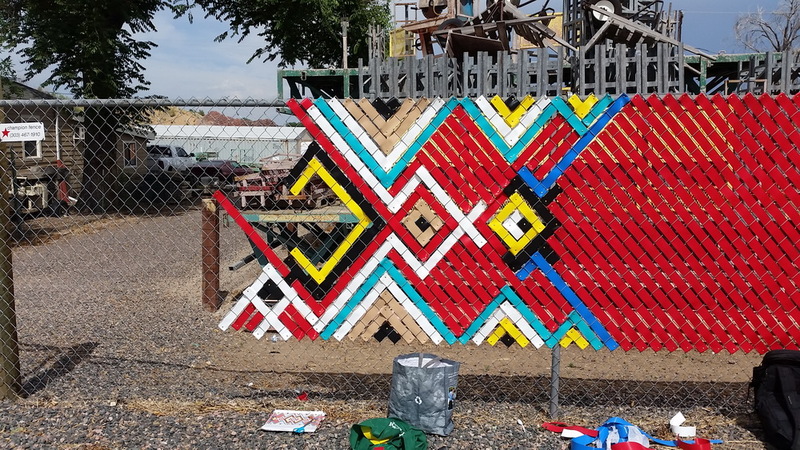 It is a project for the 40 West Artlink in Lakewood, Co. 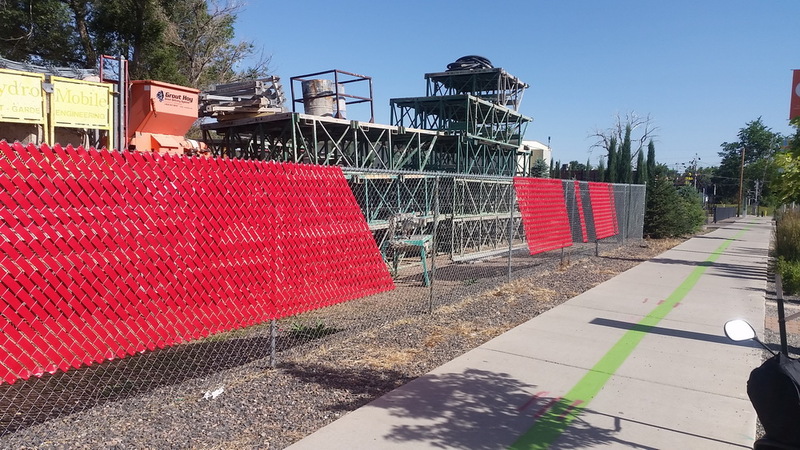 These decorations were created using vinyl privacy tape of different colors. 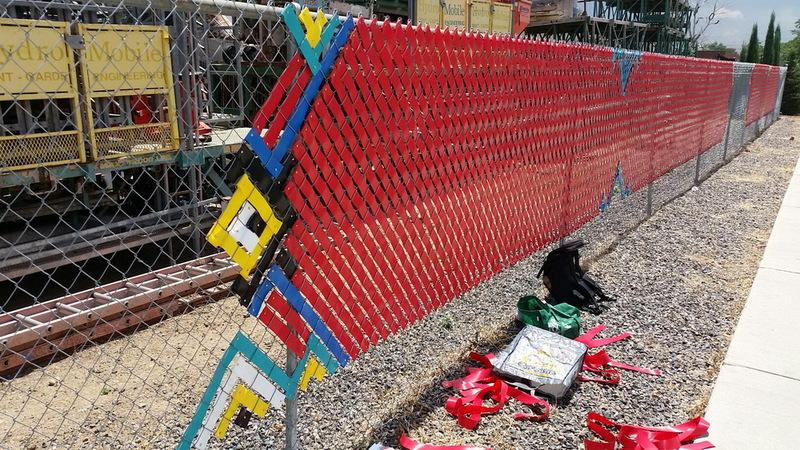 Product created specialy for weaving into chain link fence. 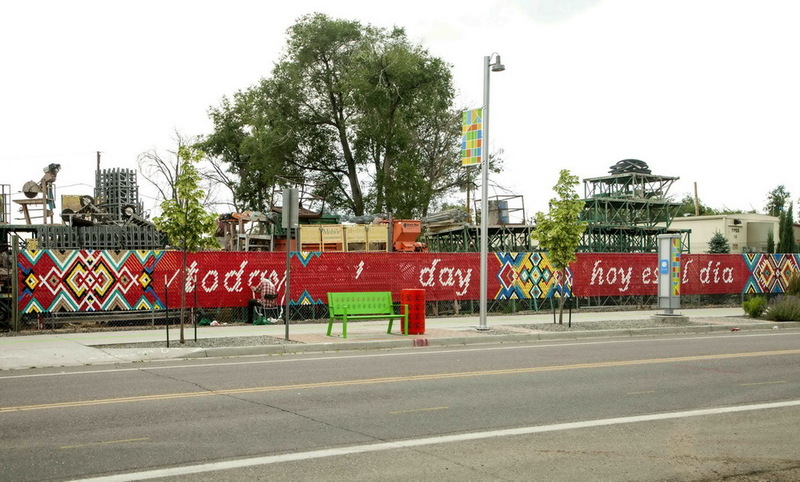 The design of the fence is featuring phrase “Today is the day” in both English and Spanish languages. 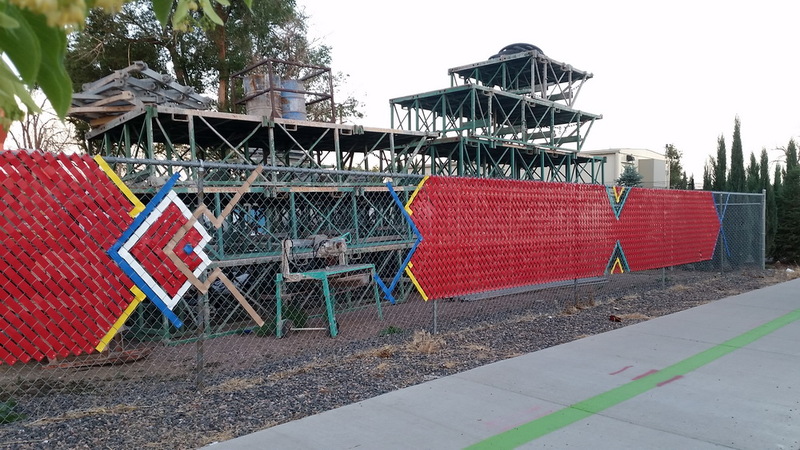 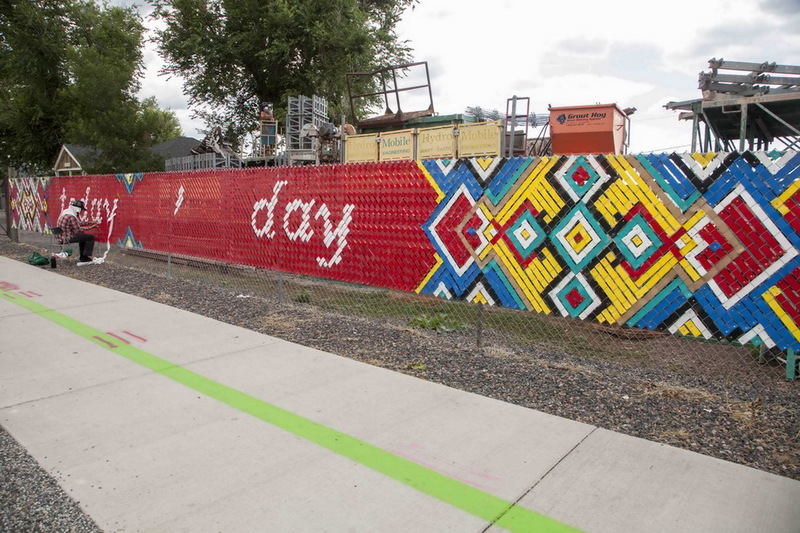 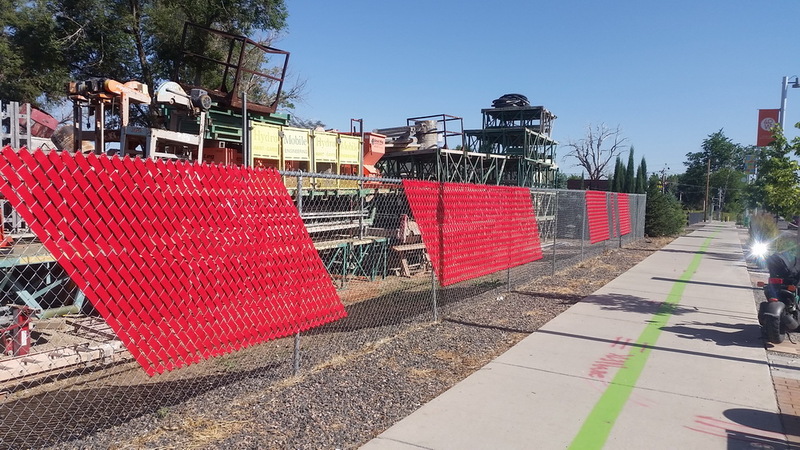 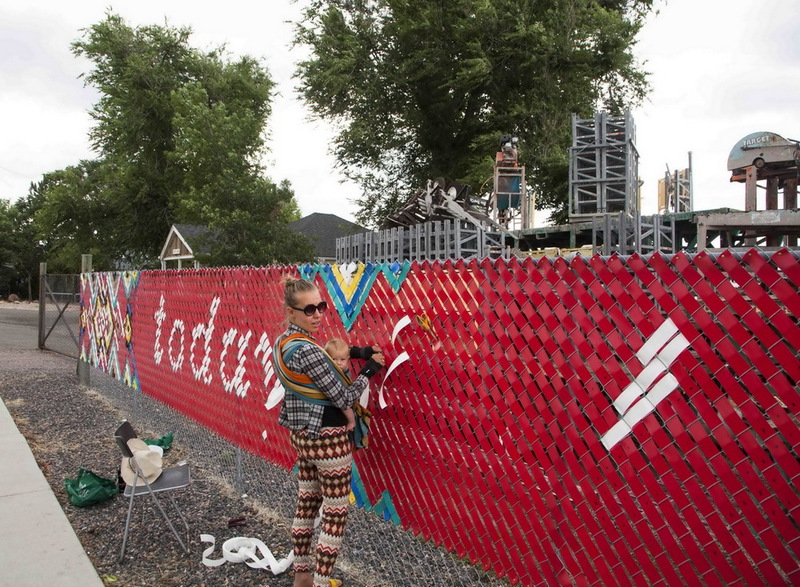 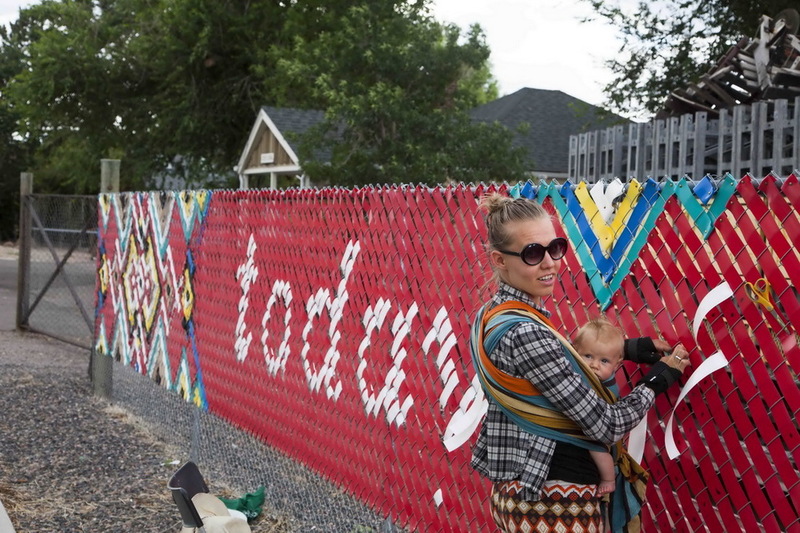 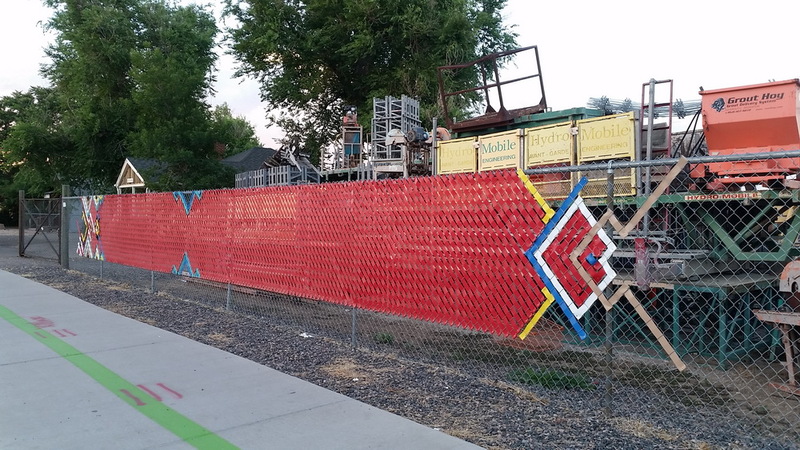 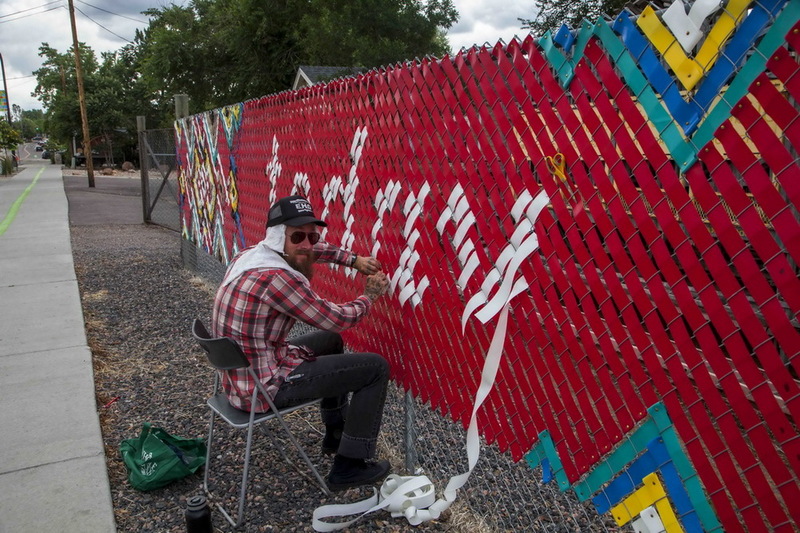 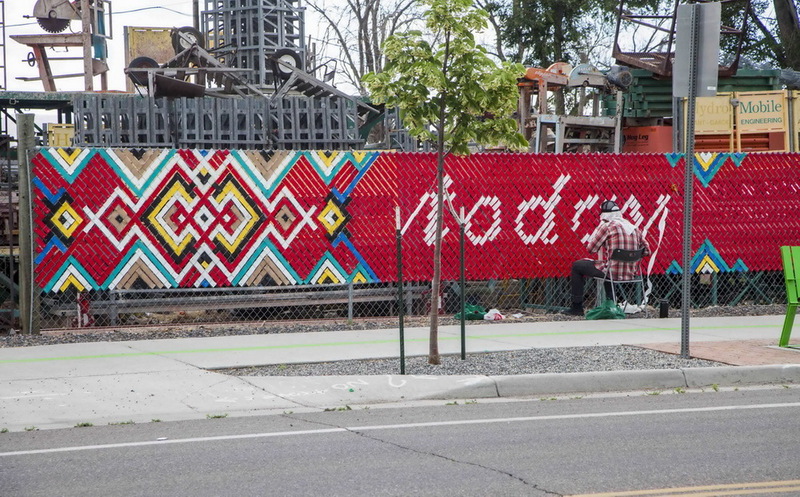 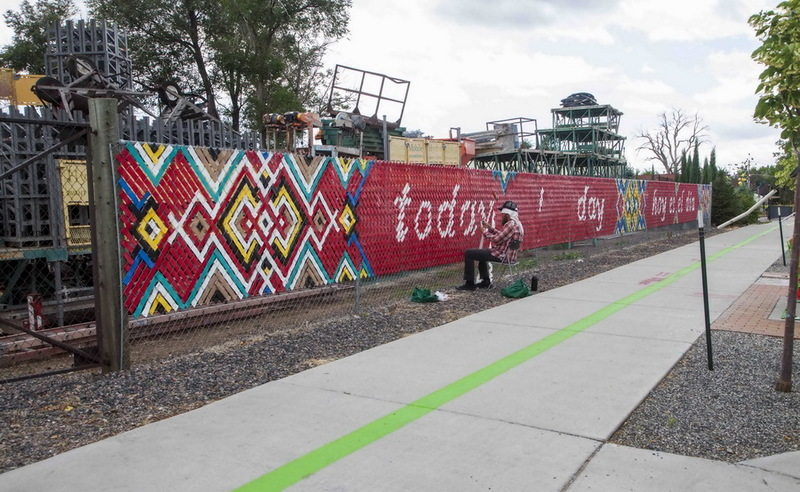 The fence is located in the middle of mostly hyspanic neighborhood, near Lamar lightrail station, on Lamar street, Lakewood, CO.
At first the red background was woven. 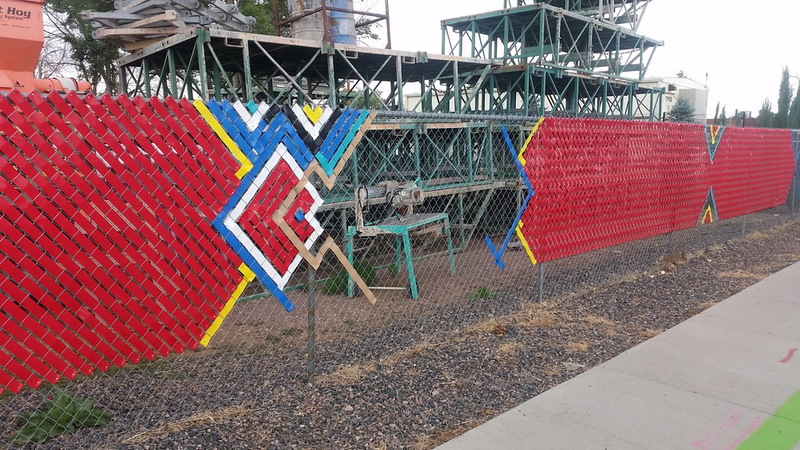 White letters were woven over the red background. 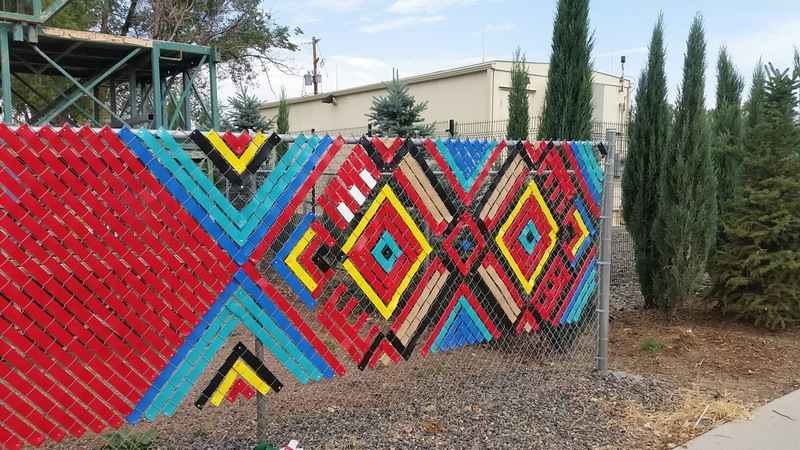 This fence decor is a part of the Art line. 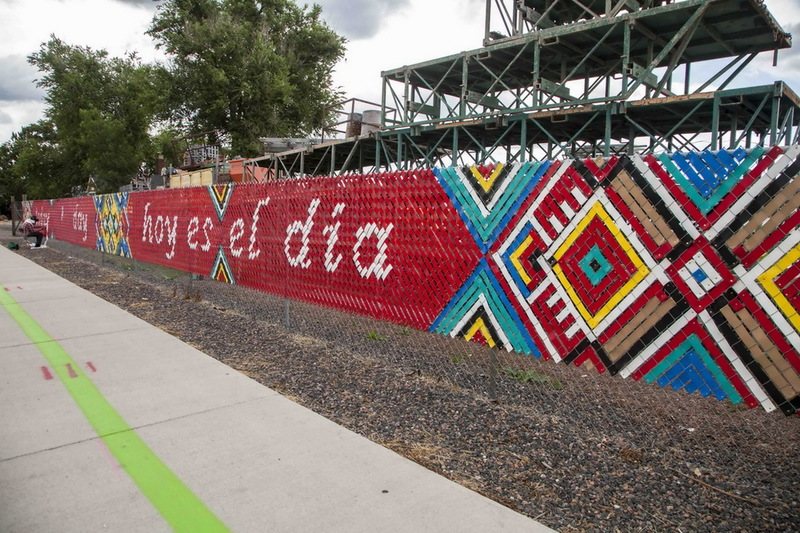 This creative route connects art galleries, public art instalations, parks with sculptures and murals.